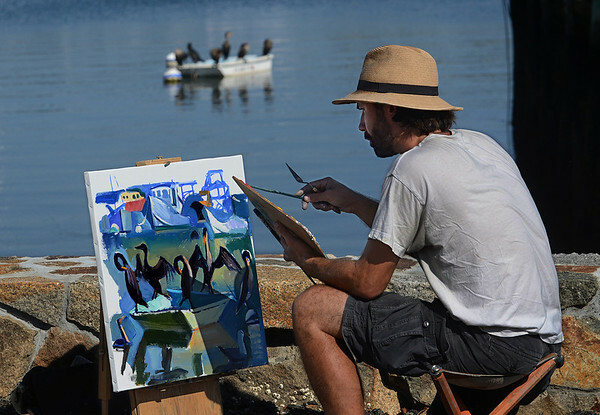 Brett X. Gamache of Salem, artist-in-residence at the Rocky Neck Art Colony, paints a boat full of cormorants Tuesday at Rocky Neck in Gloucester. Ganache says the boat is a favorite roosting place for the birds. "Usually at high tide they hang out there," he says. "I kind of have to check the tide chart to see when they'll be back."